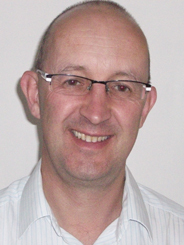 I joined Pharmacy at Aston in February 2012, having spent the previous 25 years as a practicing pharmacist. I have worked within community, industry, acute hospital and particularly within old age and adult psychiatry where I worked for 18 years; with 9 years at a senior level. I am an experienced researcher, manager and clinician with a broad research background including working within multi-disciplinary international teams. I am experienced in aspects of management including strategic planning, knowledge management, team development, change management and administration, from both a public sector and commercial environment. Medication management in dementia – linked with international leaders in this field. Chair of grant-writing group, which is supported by Dementia and Neurogenerative Diseases (DeNDRoN). Pharmacological interventions for agitation in dementia – co-principal investigator for 1st in world CTIMP (clinical trial of an investigation medicinal product) studying a pharmaceutical agent in dementia. Anti-cholinergic burden (ACB) – investigator on two recently published trials, which studied the link between ACB, and cognition and mortality (one study, which identified an association between mortality and ACB, received widespread international publicity). Member of the Dementia and Neurogenerative Diseases (DeNDRoN) Dementia Research Network Clinical Studies Group. Member of trial monitoring committee for Drug Safety Research Unit (DSRU) observational trial. Programme Director Postgraduate Psychiatric Programme (Certificate, Diploma, MSc). Module co-ordinator - PMHRP1 - OSPAP MSc. 2012 – date: Senior Lecturer in Clinical Pharmacy, Pharmacy, Aston University. 2007 – 2011: Senior Pharmacist / Clinical Lead for R&D, Kent & Medway NHS and Social Care Partnership Trust. 2002 – 2007: Chief Pharmacist for East Kent Partnership NHS Trust. 2000 – 2002: Pharmacy services manager (mental health), Kent & Canterbury Hospital. 1997 – 2000: Mental Health Pharmacist, Norfolk and Waveney Mental Health Trust. 1996 – 1997: Clinical Audit Pharmacist, Royal Berkshire Hospital. 1994 – 1996: Clinical Pharmacist, Thanet Hospital. 1993 – 1994: Locum Pharmacist, St Mary’s Hospital, Isle of Wight. 1988 – 1993: Community Pharmacy Manager. 1987 – 1988: Basic Grade Pharmacist, Lewisham Hospital. 1986 – 1987: Industrial / Hospital Pre-registration Pharmacist. Kimrendeep Basi - the role of moible assistive technology in supporting adherence to medication in people with dementia (co-supervision with Jo Lumsden, EAS). Medication management in dementia and mental health. Medication review in the healthcare of older people including dementia and mental health. The impact of anti-cholinergic burden on health outcomes. 2011: Member General Pharmaceutical Council. 2011: Founder Member of the Royal Pharmaceutical Society. 2006: Full member of British Association for Psychopharmacology. What are the views of people with mental health problems on a potential role for community pharmacists in supporting them with Medication Management?